I hereby resign from the position of Secretary of the U.S. Department of Homeland Security (DHS), effective April 7th 2019. It has been my great honor to lead the men and women of the Department as its sixth Secretary. I could not be prouder of and more humbled by their service, dedication, and commitment to keep our country safe from all threats and hazards. I join all Americans in thanking them for their sacrifices and those of their families. Despite our progress in reforming homeland security for a new age, I have determined that it is the right time for me to step aside. I hope that the next Secretary will have the support of Congress and the courts in fixing the laws which have impeded our ability to fully secure America’s borders and which have contributed to discord in our nation’s discourse. Our country - and the men and women of DHS - deserve to have all the tools and resources they need to execute the mission entrusted to them. 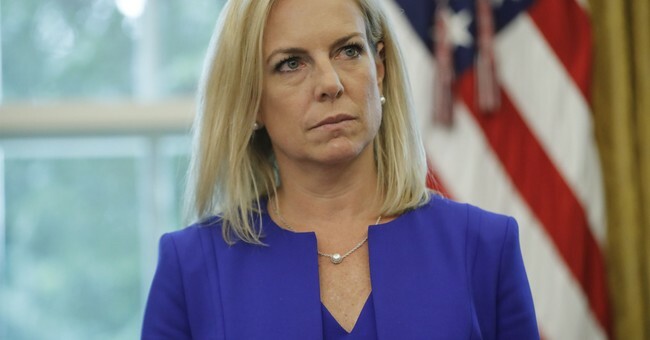 Nielsen's resignation comes two days after Trump withdrew his nominee to head Immigration and Customs Enforcement because he wasn't tough enough. The president named Kevin McAleenan, head of Customs and Border Protection, to serve as acting secretary of Homeland Security. Nielsen said she will stay on the job until Wednesday to ensure an "orderly transition."